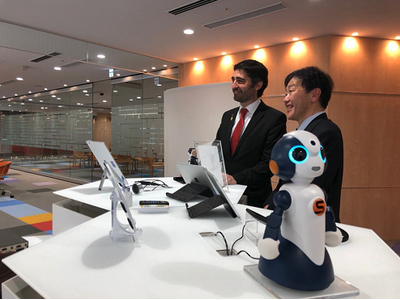 The Minister for Digital Policy, Jordi Puigneró, was in Tokyo today to meet with managers of NTT Data and close a deal aimed at facilitating the establishment of the leading Japanese telecommunications company in Catalonia. The meeting has paved the way for the Japanese company to locate its European centre of excellence for artificial intelligence in Barcelona. The Ministry for Digital Policy is currently working on a national artificial intelligence strategy that will be approved by the Catalan government in the near future. The new strategy will bolster the Catalan AI ecosystem, position Catalonia as one of the engines of AI in Europe, boost research and innovation, and help develop, retain and attract specialised talent.